Looking for ticket dismissal or point reduction? The 100% online Nevada traffic school course we provide through I Drive Safely offers both with convenience and ease. Just Sit Back and Learn with Our 100% Video Course! NO READING WITH ALL VIDEO COURSE! Attending traffic school can be a chore – from finding the class to finding the time to take it. Trade the inconvenience of going to a traditional Nevada traffic school classroom for an online course that can be done at your own pace from your own place and is as easy as watching TV. With an I Drive Safely video course, you are free from classrooms and textbooks, all you need is a computer with internet access and a comfy chair! For a licensed Nevada driver to qualify for these benefits, they must have less than 12 points on their driving record and have not taken a traffic school course in the past 12 months. This traffic school course is not just about improving your driving abilities – it can also put money in your pocket! Nevada drivers who complete our course may qualify for premium discounts from their auto insurance providers. Contact your insurance agent to inquire about possible discounts for taking a defensive driving course. Investing a few short hours watching our course could result in big financial rewards. DMV Point Reduction Course: For drivers looking to reduce points from a traffic ticket, earn a 3-point credit on their driving record, or qualify for an insurance discount. Drivers are eligible for this course once every 12 months. We know that as soon as you received that court order that the clock began ticking so, we won’t keep you waiting for your certificate of completion. We provide free shipping via US mail and, if you finish by 3 PM CST, it will be in the mail to you that day. The court need it sooner than that? Take advantage of our reasonably priced FedEx delivery options. We believe that a great course wouldn’t be complete without great customer service to back it up. You can call one of our customer service professionals any time, any day. No matter the question, we’re here to make your Nevada traffic school experience a great one. 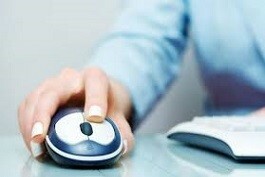 There are a number of ways by which an online traffic school course is preferable to the traditional classroom method. right off the bat, you don't have to find a school that offers a course that fits into your busy schedule. Then you have to actually attend the class, burning the better part of a Saturday listening to boring lectures. 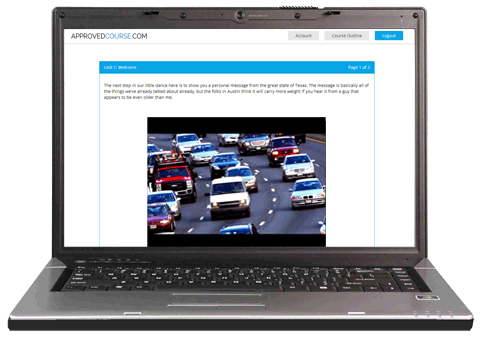 Taking an online traffic school course lets you choose when and where you complete the course. You schedule the course instead of the course scheduling you. You also get to choose the pace of your course instead of being tied to a chair for several mind numbing hours. Finally, with our traffic school course, failure is not an option. You get as many tries as it takes to get the score you need to pass. There's no easier way to get that certificate you need.